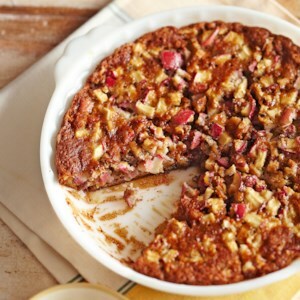 Find healthy, delicious Apple dessert recipes, from the food and nutrition experts at EatingWell. 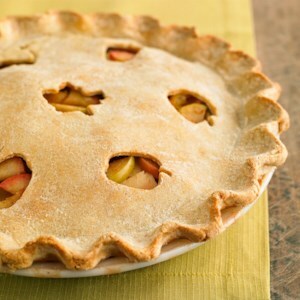 All apples are not created equal—at least when it comes to cooking vs. eating them fresh. But regardless of variety, they’re all good for you. 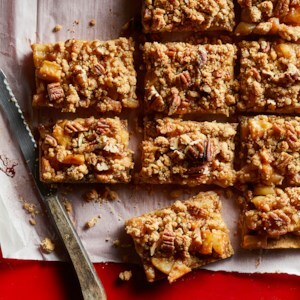 This recipe for healthy apple bars makes a big batch, perfect for potlucks and parties. 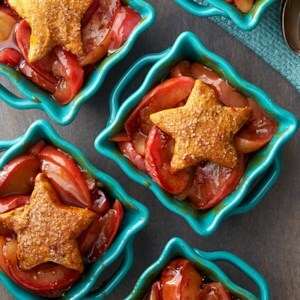 Both kids and adults will love this healthy lunchbox treat! 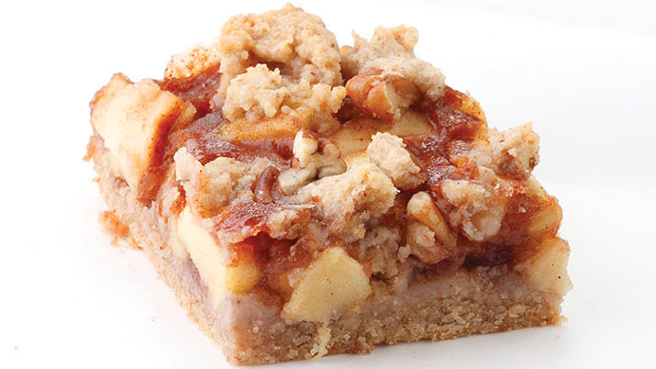 Download a FREE Apple Recipe Cookbook! 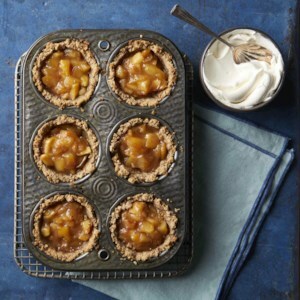 Our downloadable apple recipe cookbook features many healthy recipes, including apple pie recipes, apple desserts and more easy apple recipes. 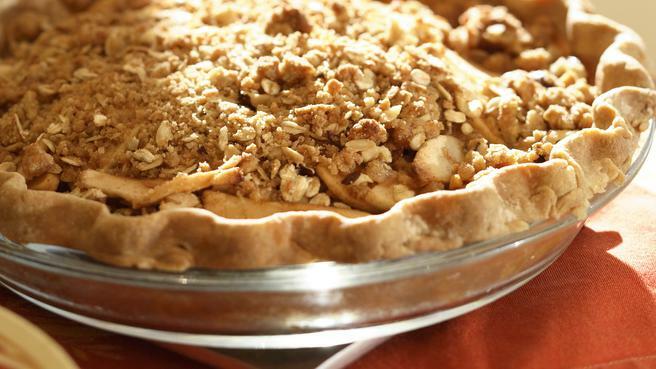 There's nothing like this old-fashioned apple dessert recipe to top off a good dinner. 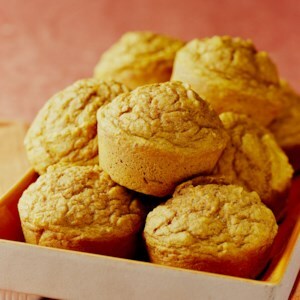 It's low in calories and can be made even lower if prepared with sugar substitute. 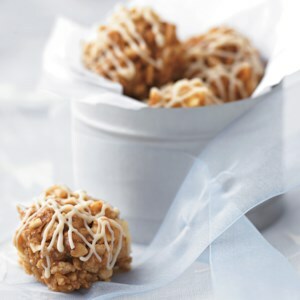 Lightly wetting your hands helps make the cereal, apple, and peanut mixture easier to shape into balls. 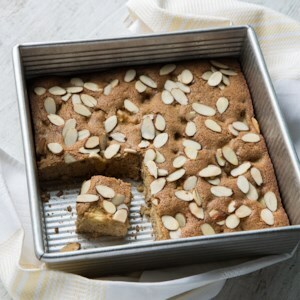 A drizle of white chocolate tops them off. 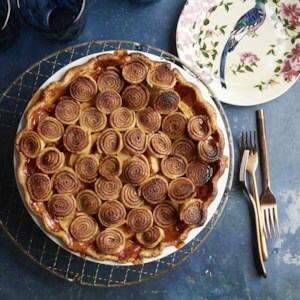 Apples, Anjou pears, and apricots are the star ingredients in this triple-A apple pie sure to win the blue ribbon in your household. 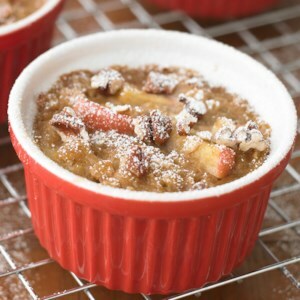 Uunsweetened applesauce, fat-free milk, and oatmeal transform traditional custard into a yummy good-for-you treat. 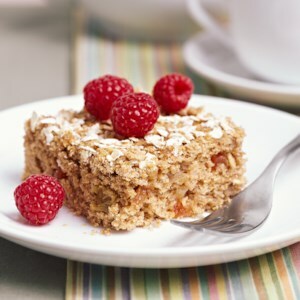 This hearty whole-grain cake is perfect for dessert or a snack. 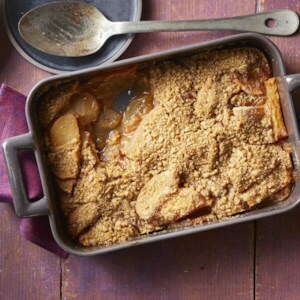 The applesauce imparts flavor and moisture while replacing some of the fat. 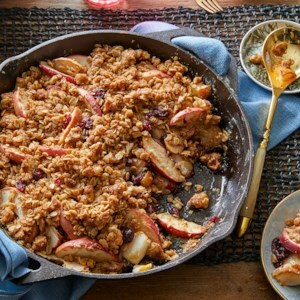 Topped with a crunchy, low-fat granola, this warm, fruity cobbler recipe is loaded with apples, cranberries and spices. 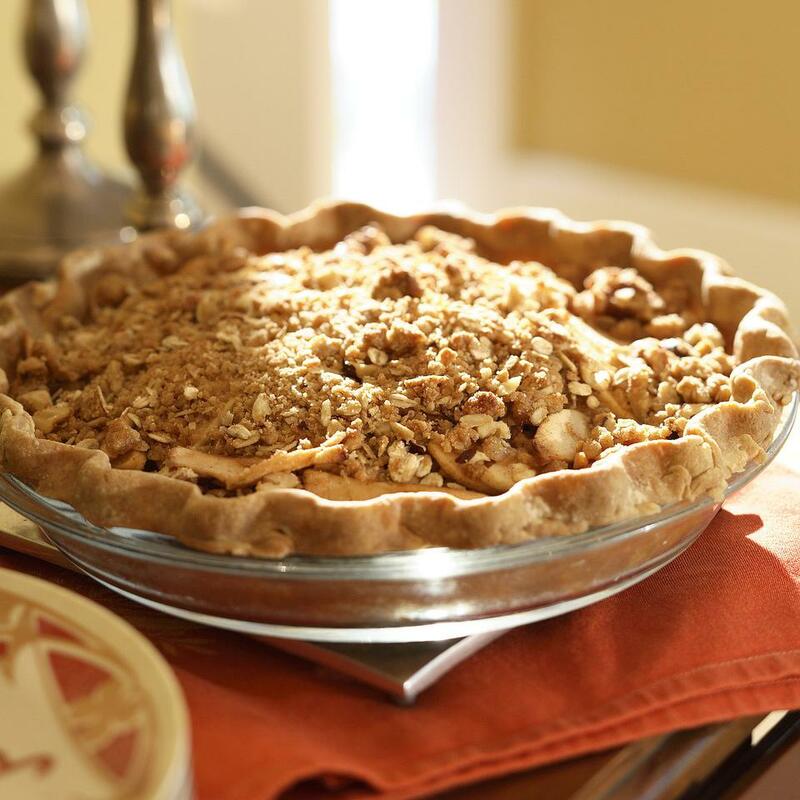 It serves 2 and can be on the table in just 40 minutes. 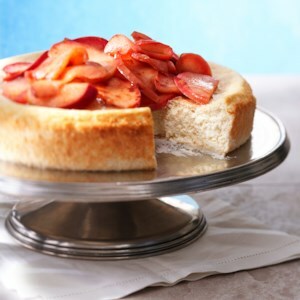 Light ricotta cheese and reduced-fat cream cheese help make this creamy dessert a smart choice for a diabetic meal plan. 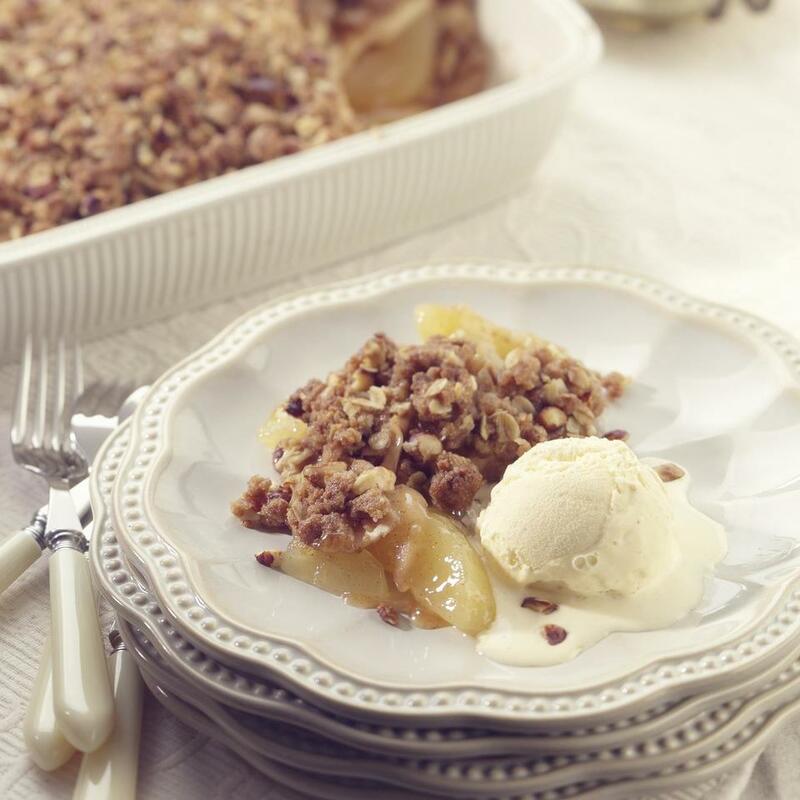 The scrumptious cooked apple topping has a touch of sweet honey and apple pie spice. 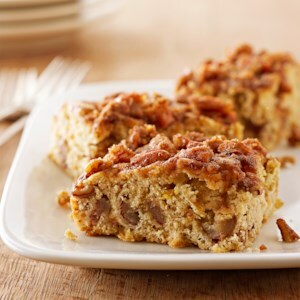 Stir up a quick cake featuring dates, pecans, and apples for a sweet treat. 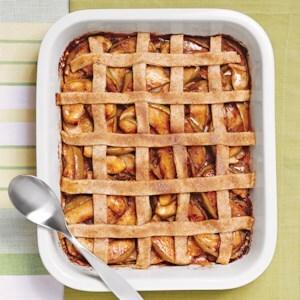 Any type of apple will work well in this recipe. 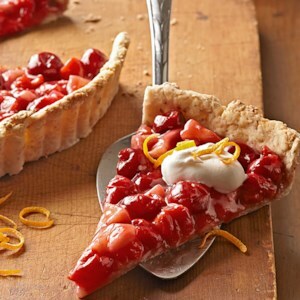 Cherries and apples bake up into a thick and bubbly filling in this delicious dessert tart. 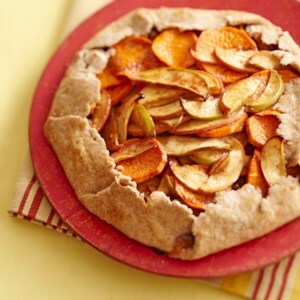 The nutty crust, dessert topping and orange zest tie it all together. 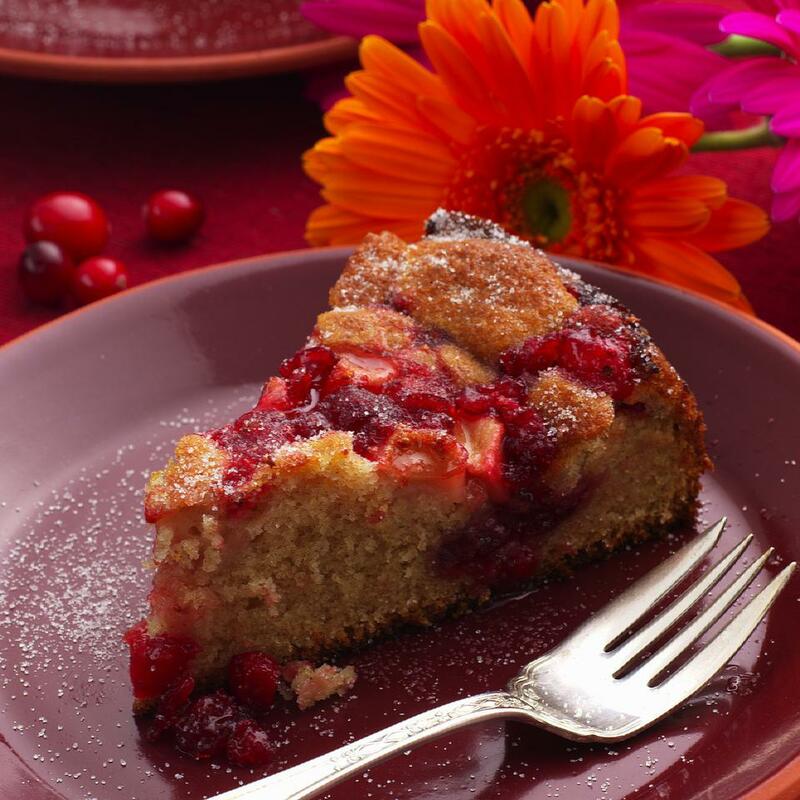 No special cooking knowledge is needed for this fruity dessert recipe. 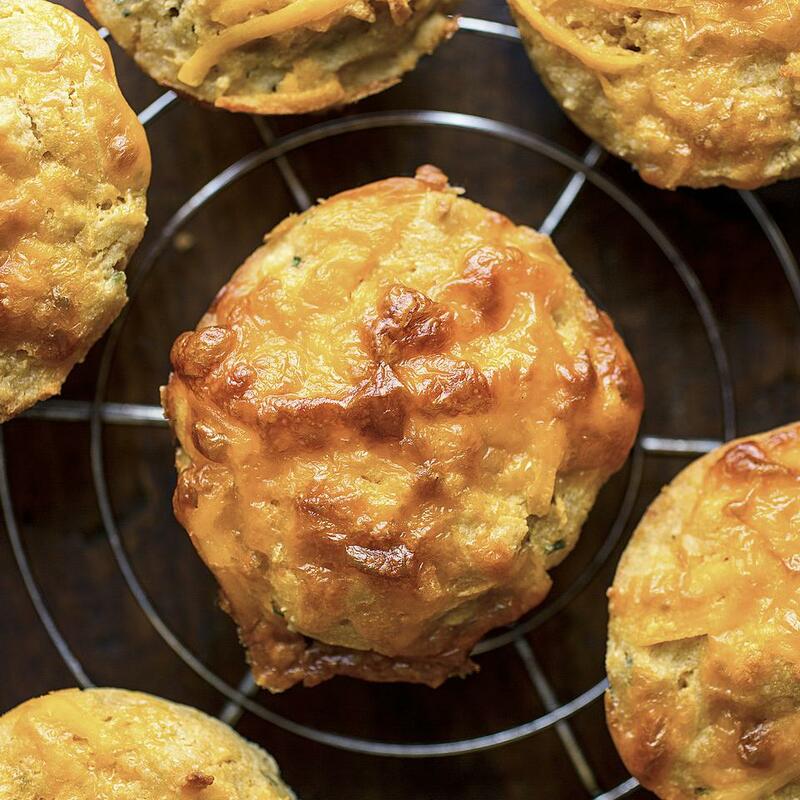 You literally "dump" the ingredients into a baking dish, pop it in the oven and enjoy. 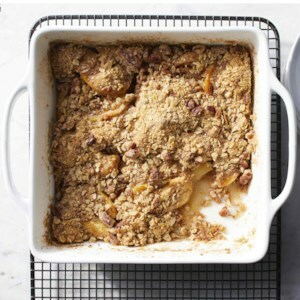 This simple oatless apple crisp gets its sweet topping from white whole-wheat flour, dark brown sugar and butter. 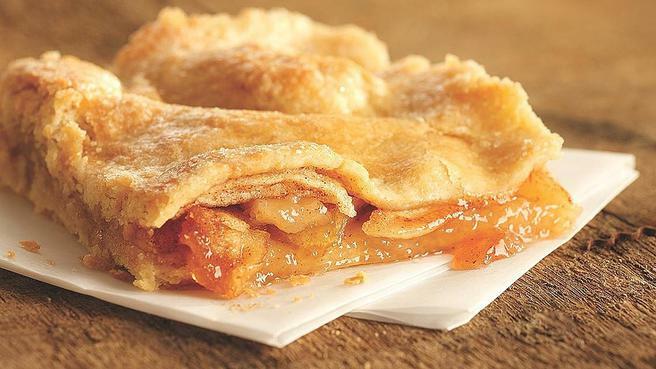 Any sweet, firm apple will work. Experiment and mix and match to find your favorite fruit combo. 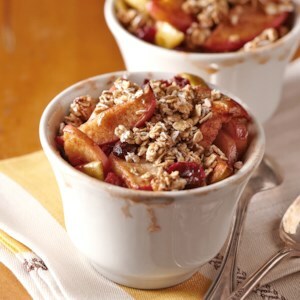 There's no added sugar in this warm fruit compote--just a couple teaspoons of honey! 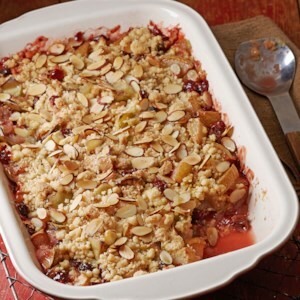 Apples, grapes, and cherries are roasted in a buttery sauce flavored with lemons and cinnamon, and then served warm over cold vanilla ice cream. Delicious! 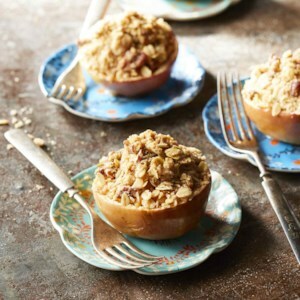 This apple dessert marries the best parts of apple crisp with a baked apple to make an adorable and tasty sweet treat. 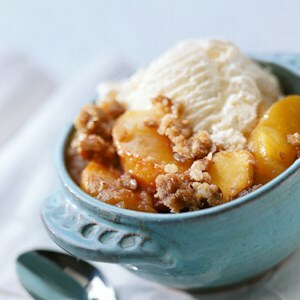 Cooking an apple crisp inside an apple is a wonderful treat in summer with a scoop of ice cream, or in fall after an apple-picking trip.